I'm still on track! Today is the 14th of November, and I've quilted 7 quilts and bound 6. 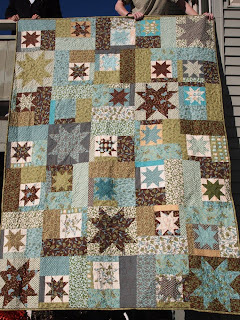 Here are the next two of my 30 quilts in 60 days. It took both guys to hold this one over the edge of the deck so I could photograph it! The next "finish" is hanging in my kitchen. 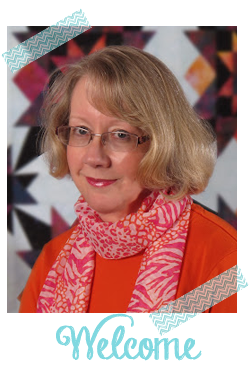 "Dimestore" is a Schnibbles pattern by Carrie Nelson. My Little Sailor held up his Kindle so you can judge the size of this quilt. I quilted it on my Juki (Zippy) using white Omni thread at 1/4" away from each seam. 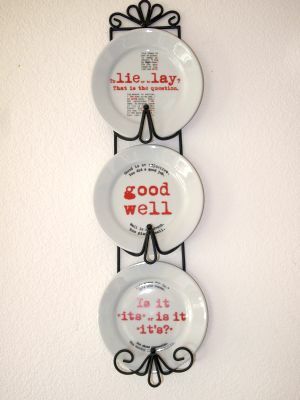 Not a quilt, but displayed in my kitchen next to "Dimestore," I just think these plates are funny. Misplaced apostrophes make me crazy! I bought them here. 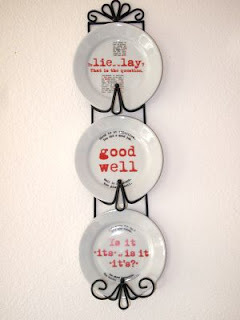 It's a little hard to read the bottom plate -- the rule is, "it's" means "it is." "Its" means "belongs to." Don't you cringe every time you read a blog post with grammar mistakes? I used to consider myself a grammar nerd- but I think it's the lazy that takes over! I know I leave out apostrophes when they should be there or vice versa. Fortunately spell check gets most of them - but please don't (dont????) cringe if you read some of mine where I got it wrong - just always in a hurry and a bad typist to boot!